Practising Law Institute (PLI), the leading nonprofit learning organization dedicated to keeping attorneys and other professionals at the forefront of knowledge and expertise, brings you a new and improved app designed to provide PLI customers easy, user-friendly access to its premier audio and video content anywhere, anytime. Customers can select from thousands of hours of audio or video programs led by more than 4,000 volunteer faculty to stream online or offline and easily request legal and professional credit on the go. Hear from top experts in your practice area and learn the skills needed to keep you at the top of your profession. Practising Law Institute (PLI) is a nonprofit learning organization dedicated to keeping attorneys and other professionals at the forefront of knowledge and expertise. PLI is chartered by the Regents of the University of the State of New York, and was founded in 1933 by Harold P. Seligson. The organization provides the highest quality, accredited, continuing legal and professional education programs in a variety of formats delivered by more than 4,000 volunteer faculty including prominent lawyers, judges, investment bankers, accountants, corporate counsel, and U.S. and international government regulators. 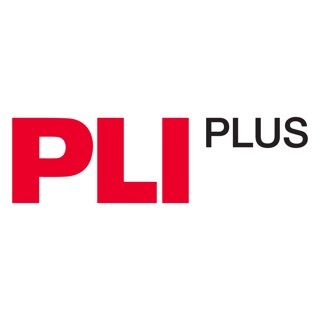 PLI publishes a comprehensive library of Treatises, Course Handbooks and Answer Books also available through the PLI PLUS online platform and app. The essence of PLI’s mission is a commitment to the pro bono community, with over 78,000 program scholarships annually. PLI is headquartered in New York City with offices in San Francisco, California. Failed to communicate to server. This is a review of the most recent app as of October 4, 2017. I am running iOS 11.0.1 on an iPhone 7plus. The app does not function properly. After years of appreciating and deriving much value from the PLI Mobile app, albeit with an antiquated UI, my phone/app combo fails consistently to “communicate with server.” To be clear the app opens and allows me to access the login screen, but I am unable to successfully submit any data. It is not an issue with my password. I have spoken with the PLI Mobile support line and had that reset. It appears as if the issue is a matter of connectivity. The above quoted error message pops up instantaneously. It is not an issue with enabling cellular data for the app. I have checked that. My best guess is that the app doesn’t operate properly with iOS 11. But I’m not a software engineer and welcome any advice or correction. If the error is mine I will withdraw this review gladly. Thank you for your comments. We are very sorry to hear that your experience has been less than satisfactory! We will do everything we can to resolve the issue and would appreciate if you emailed us at mobilefeedback@pli.edu so that we can assist. We appreciate your cooperation and will await your email. Please use the date of your review as an identifying reference. Thank you. I really love the new app! The overall redesign is great and I think that there are some great improvements to how I can find things. I'm looking forward to what other enhancements they come out with soon. I primarily wanted to use it for mobile access (not streaming). I have not been able to get any of the mobile downloads to play on my iPhone (iOS 11), but have been able to get it to stream and play on my iPad (iOS 10). Is this a known bug?